The University of Arizona’s MacArthur Fellows exemplify exceptional creativity, significant accomplishment, and boundless potential. From neuroscience and astronomy to linguistics, ethnobotany, and anthropology, these scholars are changing the world for the better. This speaker series explores and celebrates the innovation and impact of our MacArthur Fellows' work. The MacArthur Fellows Program, an initiative of the MacArthur Foundation, awards unrestricted fellowships of $625,000 to talented individuals who have shown extraordinary originality and dedication in their creative pursuits and a marked capacity for self-direction. There are three criteria for selection of Fellows: exceptional creativity, promise for important future advances based on a track record of significant accomplishment, and potential for the fellowship to facilitate subsequent creative work. This speaker series ran in Spring 2015 at the Cesar E. Chavez Building, Room 111, 1110 E James E Rogers Way, from 5:30 PM to 6:30 PM. Videos are available for all but Dr. Strausfeld's talk. Dr. Strausfeld's work has been critical in understanding how flies see and maneuver, and how their head movements are related to their flight behavior during steering. His research focuses on the analysis of higher brain centers in insects and employs structural features of the brains of invertebrates for investigating their phylogenetic relationships. His studies of insect neuroanatomy have implications for basic and biomedical research. For a full overview visit http://www.macfound.org/fellows/525/. Dr. Guyon is using his expertise in optics to enhance the capabilities of telescopes exploring some of the most compelling issues in contemporary astronomy. 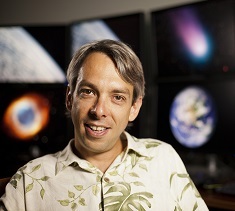 His work has also expanded the capabilities of amateur astronomers to participate in the field. For a full overview, visit http://www.macfound.org/fellows/866/. Talk Title: "Observing Exoplanets and Looking for Life around other Stars"
Talk Abstract: The first exoplanet around a Sun-like stars was identified 20yr ago, and we are now finding exoplanets at an accelerating pace thanks to recent technological advances. In the last years, astronomers have found that potentially habitable planets (rocky planets about as massive as Earth, located at the right distance from their host star to sustain liquid water) are abundant, with one such planet around 10% to 50% of stars. Finding and studying habitable planets around nearby stars is a formidable challenge, but is rapidly becoming possible, with both space-based telescopes free of atmospheric disturbances and the upcoming generation of extremely large telescopes on the ground. To directly image and study habitable planets around nearby stars requires exotic optical systems, tuned to reject the bright starlight to observe a planet millions to billions times fainter. I will show how such systems are using new optics tricks, and are now coming online. I will also briefly introduce project PANOPTES, a citizen science effort to crowdsource exoplanet finding using a network of small robotic wide field cameras. Project PANOPTES, soon to be launched, will enable schools, amateur astronomers and citizen scientists to discover with small cameras exoplanets that will then be studied with the largest space and ground telescopes. Dr. Nabhan is an ethnobotanist and writer whose studies on indigenous farming, wild-food gathering, and land management focus on conserving ancient cultural traditions. 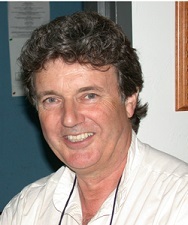 His research projects in the Tucson community and Southwest include involvement with University of Arizona Southwest Center and Edible Baja Arizona. For more information on Dr. Nabhan, visit his website at www.garynabhan.com. Talk Title: "Seeds, Sown by Hand: Conservation You Can Taste"
Talk Abstract: In this slide lecture and reading from a forthcoming work, Nabhan will illustrate how natural science, the arts and faith come together in his current collaborations with artists, photographers and other writers. He will also discuss Tucson's hosting of the first International Seed Library Forum, four decades after Tucsonans hosted the Seed Banks Serving People Forum that coalesced a global seed saving movement. The impact of this movement is that there are now four times as much food biodiversity reaching American tables as there was a quarter century ago. The point is not merely that better science communications have emerged out of such interdisciplinary collaborations but the issues themselves have been re-contextualized so that they engage a broader range of stakeholders. Dr. Zepeda is a linguist, poet, and community leader devoted to preserving Native American languages and to revitalizing tribal cultures. She has earned national, regional, and campus accolades for her work with Native American communities and graduate students. 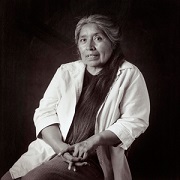 For more information on Dr. Zepeda's work, visit http://www.macfound.org/fellows/630/. Talk Abstract: AILDI has had an important role nationally and internationally in developing and promoting some of the "best practices" in many areas of language teaching and training for Native American languages. AILDI has been critical in working with endangered language communities in supporting their efforts to maintain or revitalize their languages. The presentation will be a brief overview of the American Indian Language Development Institute as a unique model for training educators of Native American languages and as an advocate for languages. Dr. Brackette Williams is a cultural anthropologist who studies connections between cultural identity and social relationships as they relate to criminal justice, race, and class. 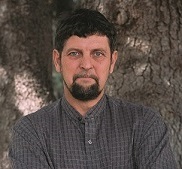 For more information on Dr. Williams work, please visit http://www.macfound.org/fellows/569/. Based on evidence gathered during my MacArthur Fellowship, I will offer some thoughts on the relation between two questions 1) Why do we care how we put to death persons, who, by other classificatory means, we adjudicate as having proven themselves life unworthy of life? 2) If the death penalty were abolished, what might ethnographic answers to this question predict for change or continuity of classificatory processes for capital punishment, for which death penalty sentencing is a part, rather than the whole? I will close by considering what the project contributed to understanding relations between the inherent arbitrariness of classification, as a necessary and unavoidable cognitive tool, and decisive arbitrariness, as naturalized power of formal classification schemes that canalize cognitive processes in ways that reduce the range of possibilities for making and using exemplars and prototypes while increasing the range and dominance of stereotyping. For more information please call 621-0580 or email bradshad@email.arizona.edu.